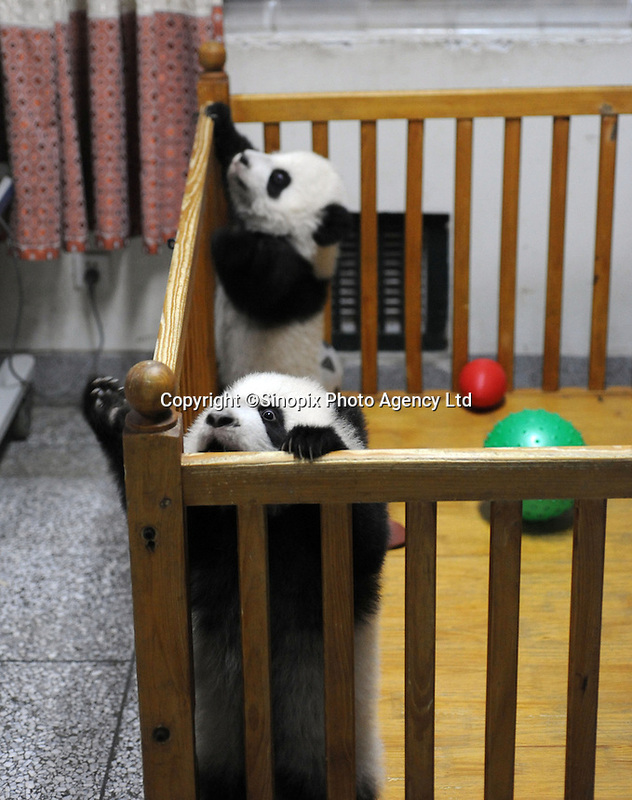 Ya Li and Wen Li at the Chengdu Giant Panda Breeding and Research Base in Chengdu, China. Dec 2009. The twins were born to their mother, Li Li, who is 19 years old, and her first babies. .